Manchester 10Gbps broadband is on the way with a new deal that will supercharge local business internet speeds. 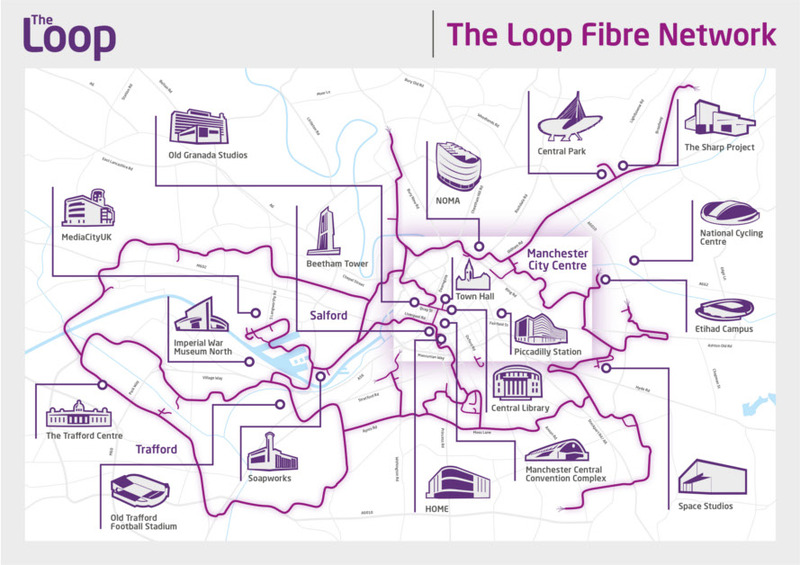 Telcom Networks has signed a 10-year deal with local business The Loop to offer Manchester companies full fibre broadband. The Loop, based in the city’s industrial Trafford Park district, uses Dark Fibre to deliver gigabit-plus broadband speeds to businesses. It runs a 160km circular network – originally built for the 2002 Manchester Commonwealth Games – around the outskirts of Greater Manchester, from Salford to Oldham, Stretford and Gorton. Go deeper: What is Dark Fibre and how will it cut broadband bills? Local politicians lined up to welcome the move. 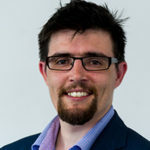 Sean Anstee is Trafford Council’s lead member and has the portfolio to look after job prospects across Greater Manchester. This fits extremely well with our digital strategy. It will support our ambitions to be a leading tech city, creating jobs, attracting and retaining talent and enabling small businesses, particularly those in the creative sector to have affordable and accessible top grade internet. This will allow them to stay ahead of the competition, flourish and grow. Telcom launched in its home city in 2014. It started out managing fibre networks for the likes of ITV Granada Studios before launching as an ISP in its own right in 2015. Standard fibre to the cabinet broadband is available across most of the UK. But these services only use fibre-optic cables for part of the connection, to the green roadside cabinets dotted around streets. They then rely on slow copper cables from the cabinet to the home, slowing down the connection speed. You’ll see fibre to the cabinet broadband advertised as “up to 38Mbps” or “up to 76Mbps”. Full fibre broadband runs fast fibre-optic cables directly to homes and office buildings, vastly increasing the speeds possible. These are known as gigabit-capable connections, as the theoretical maximum speed hits one gigabit per second or 1Gbps (1,000Mbps). You can buy gigabit broadband for your home right now, through providers Hyperoptic and Gigaclear. Full fibre is not available in most parts of the UK, however. As of March 2018, it’s estimated that only 2-3% of UK homes can get it. Who gets Manchester 10Gbps broadband? 15 office buildings in the city centre will be the first to get access. Work is already underway as we speak. The first to be connected will be start-ups in co-working spaces at the XYZ Building in Spinningfields and Federation House, as well as 24 Lever Street, 1 Exchange Quay and 196 Deansgate. The broadband deal could see up to 40 buildings from the artsy Northern Quarter to the central business district of Spinningfields connected by the end of 2018. Telcom’s CEO Shaun Gibson points out: “This is not a run-of-the-mill tech collaboration. Manchester is also one of six places announced by government as a pilot area for full fibre rollouts. The others are: Aberdeenshire, Warwickshire, West Yorkshire, Somerset and West Sussex.